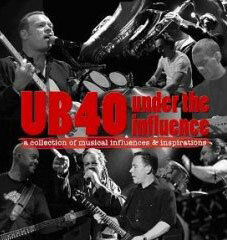 Following in the steps of Paul Weller, Morrissey, Ian Brown and the Super Furry Animals comes UB40, who have compiled the latest Under The Influence – a collection of tracks that influenced their sound. I’m sure the name UB40 is already ringing a few alarm bells, but remember – this isn’t actually UB40, but tracks the band see as an influence, which happens to be a cross-section of vintage ska and reggae tunes, along with some 60s and 70s soul tracks. So is it any good? Well, you can check out a full review over at our sister site Modculture. The album is available to buy in the coming weeks, priced at £8.99.